Even when periodontal disease is in a fairly advanced stage, it is possible to improve or even reverse the condition with non-surgical procedures. Depending on the type of disease and its severity, one of these approaches may be suggested by your doctor. This process can be done above or below the gum line and involves the scraping and removal of plaque and calculus (tartar) from the tooth. Scaling done at regular teeth cleanings usually involves the crown of the tooth. However, in more extreme circumstances, it is necessary to go further below the gum line to thoroughly remove disease-causing bacteria and its by-products on the root surface. After the thorough cleaning of the tooth surface has been completed above and below the gum line, the root of the tooth undergoes a process called planing. This is a process of smoothing the root of the tooth so that any remaining tartar is removed. This also serves two other purposes: it clears away any rough areas that bacteria below the gum line thrive in, and it makes it much easier for the gingival (gum) tissue to re-attach itself to the tooth, effectively reducing the size of the pockets that the plaque and bacteria hide in. This re-growth of tissue is key in stopping a recurrence of gum disease (in advanced cases, flap surgery or gingivectomy may be necessary to allow the doctor free access to the infected tooth root). With either of these procedures, your periodontist may prescribe you either local or systemic antibiotics and an antiseptic mouth rinse. A major advance in the treatment of periodontal disease. Arestin® is a major advance in the treatment of periodontal disease. It is an antibiotic powder that is placed gently into your gum pockets where bacteria thrive after you have received scaling and root planing treatments. Arestin uses microspheres, small spherical particles in the powder, to slowly release the antibiotic into the infected area for 10 days. Treatment only takes a few minutes to administer and is a comfortable treatment that may not require anesthesia. 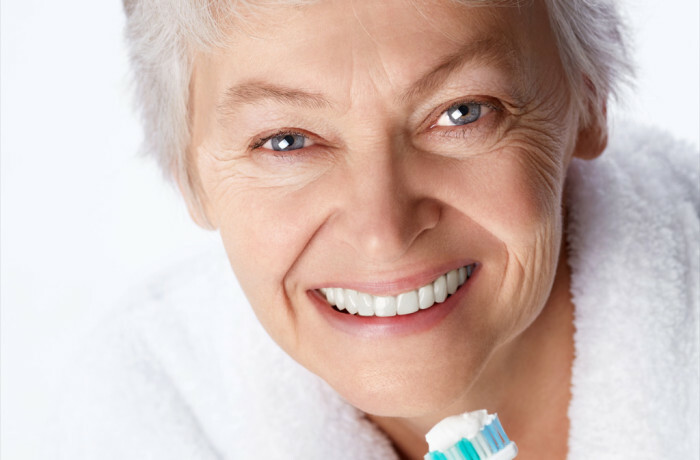 The benefits you'll receive from one simple treatment can help you achieve better gum health. After you leave our office, we do ask that you limit your physical activity and keep moving to a minimum for a couple of hours. Do not do any strenuous or aerobic activity for the rest of the day. This includes exercising. After the anesthesia wears off, you may feel some pain/discomfort. You may take Tylenol or Advil, as directed on the bottle, to alleviate your pain. Your gums and/or teeth will also be sensitive to cold or touch, which is normal and should subside in a couple of days. If you experience any extreme pain or discomfort, please call our office immediately. Your gums and face should NOT swell after a scaling and root planing procedure. If either your gums or face are swelling, please call our office immediately. Some minor bleeding is expected for a few hours after a scaling and root planing procedure and is no cause for alarm. If your bleeding continues after a few hours and will not stop, please call our office immediately. If you see a lot of “red” in your mouth, it is likely a mixture of a little blood with your saliva. Blood can strongly “dye” and will tint your saliva red. You are likely not bleeding nearly as much as it seems. We ask that you do not try to eat until all the anesthesia has completely worn off. For your first meal, we recommend eating something very soft, because your mouth will be sensitive. Also for your first meal, we ask that you avoid eating anything that is spicy, salty, acidic, very hot or very cold. Also avoid drinking liquids that are very hot, very cold or alcoholic. Please continue your brushing and flossing habits on all areas in your mouth. Per your hygienist instructions, you can help reduce your sensitivity in just a few days by brushing with a toothpaste for sensitive teeth. For the next few weeks after treatment, we ask that you rinse your mouth at least 2 times a day using an antiseptic mouthwash. Friendly Dental of Somerset is dedicated to providing the highest quality dentistry, utilizing the latest technology and oral health care techniques.